Sample finance interview questions with practical answer guidelines. Prepare for success in your finance interview and secure the financial job opportunity. Finance is a wide field covering insurance, retail banking, investment banking and other financial services. Interview questions will vary depending on the employer, the level of the job and your work experience. However there are certain core behaviors and skills that are essential to success in most finance positions. These are the type of interview questions for finance jobs that take a close look at these competencies and which you can expect in some form in your job interview. 1. What motivates you in your job? 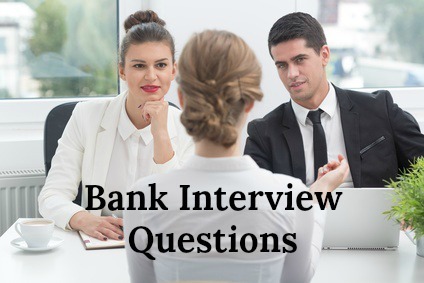 Finance interview questions that examine your motivation are designed to assess whether you will be a good motivational fit with the job opportunity and the company. Make your motivation relevant to what the finance job provides. Most finance positions require self-motivated people whose motivators include managing a challenge, getting the required results, achievement and recognition. This can also be phrased as the why choose finance interview question. 2. What has been a major achievement in your working career? Discuss a relevant achievement, the challenges you faced in getting there and what made you successful. Discuss why it was important to you, making the reasons relevant to the finance job you are interviewing for. 3. Tell me about a time when you successfully dealt with a difficult and demanding client. Here the employer is exploring your resilience and ability to persist in the face of a challenge. Setbacks and difficult clients are part of the financial business and you need to demonstrate your ability to deal with this. Provide an example that clearly shows your determination and the interpersonal skills used to reach a positive outcome. 4. How do you go about persuading others to your point of view? Finance professionals regularly have to persuade and influence people to accept their services, their expertise and their advice. Determining needs, selecting the most suitable approach and deciding on the right interpersonal style are all factors in successfully influencing others. 5. Tell me about your approach to team work. How have you had to adapt to work effectively as part of a team? Finance interview questions about team work look at your ability to build relationships and contribute to team success. Your ability to work successfully with other people in the finance business is essential. Show how you have assessed each team member and selected the best approach for their particular needs. Adaptability is key to success. 6. Tell me about a recent high stress situation you were in. How did you manage it? Finance jobs demand the ability to work well under pressure. The interviewer wants to know whether you are able to perform under stress and cope with difficult situations. Show that you can stay calm and are able to plan to reduce stress. 7. Give me an example of a win win situation you negotiated. This financial interview question explores your ability to communicate information or alternatives in a manner that gains agreement and acceptance. Show how you are able to look at the position of others, present alternatives and reach an agreement that is positive for all parties. 8. Describe a tough financial analysis problem you faced recently. Your ability to identify key issues and detect problems from relevant information is key in your answer. Your skill in breaking down, organizing and analyzing information is under the spotlight with this interview question. 9. How can you add real value to this organization? Your interview answer should showcase your comprehensive research and knowledge of the company and how well you understand its achievements, its goals and the challenges it faces. Provide examples of the skills and ideas you bring that would result in a contribution to profits and growth. Use the resources at preparing for job interviews to get the information you need on the company before your interview. 10. What are your strengths and weaknesses as a finance professional? Provide an interview answer that demonstrates your self awareness and insight. Use the list of strengths and weaknesses to help formulate your answer. 11. What are the biggest challenges and opportunities that the finance professional faces today? Highlight your awareness and insight into the current economic situation and the state of the financial sector including regulatory changes, reputation and trust issues, tax changes, availability of credit, cost reduction, staying current with new technology, competition from online technologies and recent industry innovations among others. Use this complete guide to accountant interview questions with sample answers to help prepare for your finance job interview. 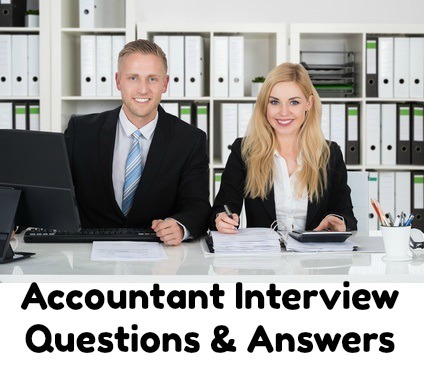 View these frequently asked accounting interview questions with answer help. Develop a good understanding of behavioral interview questions and be able to successfully answer those finance interview questions that explore different behaviors or competencies. Finance interview questions can include seemingly irrelevant and strange questions as a way of testing applicants' ability to cope with the unexpected and think on their feet. These strange interview questions will give you clear guidelines on dealing with those wacky questions! The complete list of good finance interview questions to ask the interviewer.